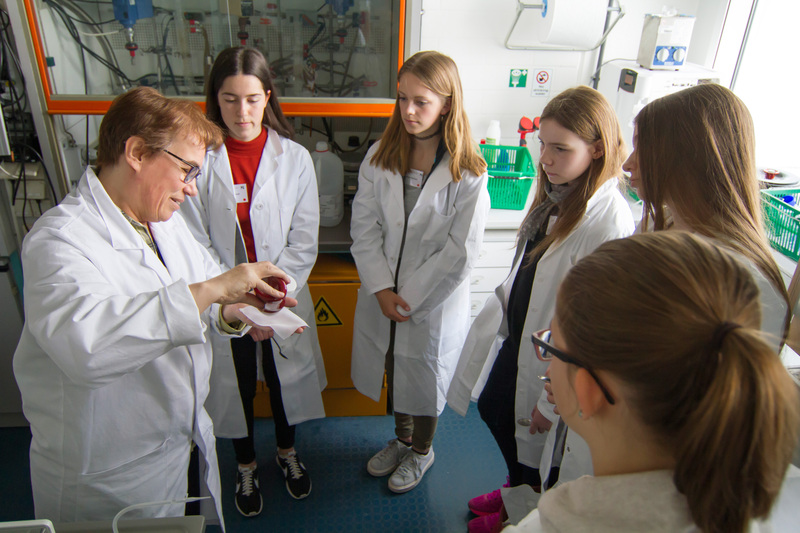 Once a year in April, facilities, organizations, schools and universities as well as companies throughout Germany invite girl pupils from the 5th grade upwards to the Girls’Day. On this day, girls learn more about science, technology, engineering and mathematics. 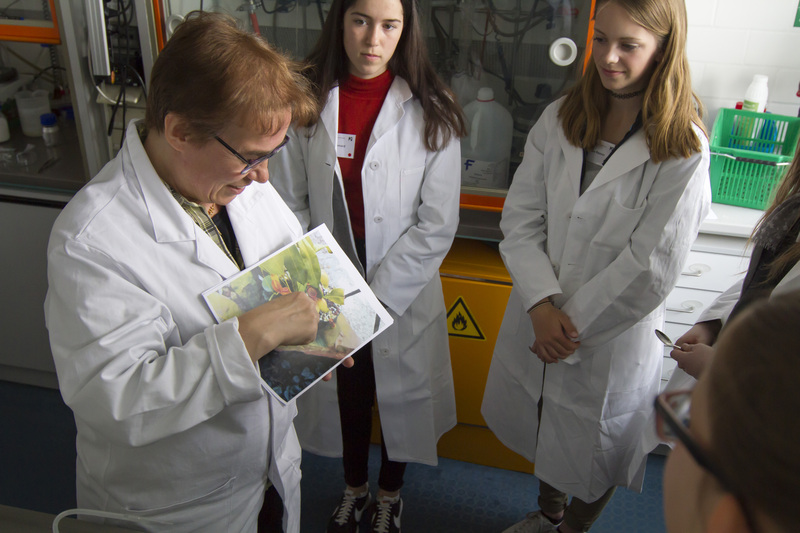 This year again, the Max Planck Institute for Polymer Research will welcome girl pupils from various schools around Mainz. 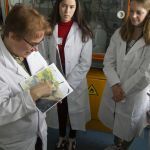 While visiting the institute, the girls will gain an overview of different fields in polymer science. 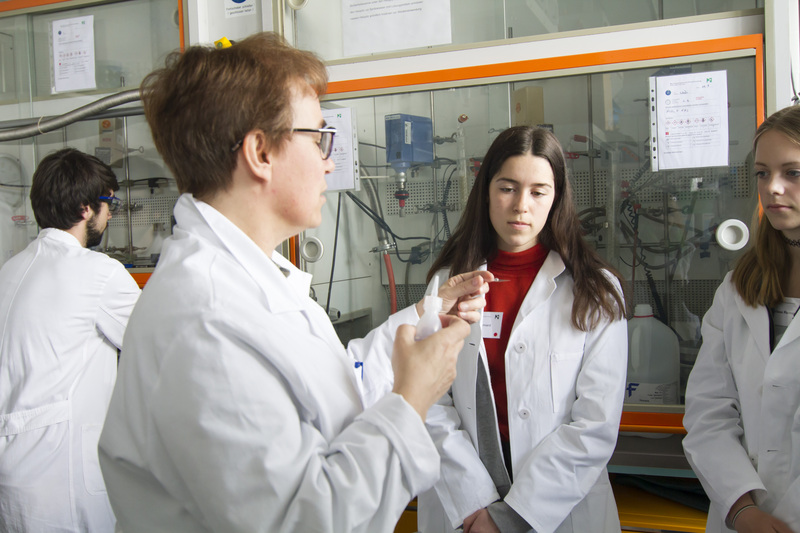 Under the guidance of experienced female scientists they will peek into laboratories and carry out various experiments. One of them will be conducted by Prof. Dr. Doris Vollmer and Dr. Maria D’Acunzi. Together with the participants they will examine self-cleaning surfaces, e.g. the lotus effect and lubricant impregnated surfaces. Prof. Dr. Vollmer shows a superomniphobic textile able to repel ketchup. Prof. Dr. Vollmer shows the picture of a pitcher plant (left) and a water drop sliding on a slippery surface obtained by mimicking the pitcher plant morphology (right). For further information, please go to the MPI-P web site.